That is an important question??? Important Update: In this set of two articles you will find extremely good alternatives to toxic drugs. Researchers like myself along with a number of world-class doctors and Brain Specialists have discovered the healing properties of CBD Oil. You will want to learn everything you can about this amazing healing oil. I have added a section specifically for CBD Oil. This blog article is a bit long but the payoff for you could be life changing!!! First I am not suggesting we all drop our Prescription Drugs Cold Turkey. That is never a good idea. Over my many years of research and trial and error, I tried anything and everything that I heard about that made at least some sense. I didn’t try Leech Therapy or anything like that. After Vietnam, the word leech sends me straight into a nasty Flashback!!! Through my quest to heal myself I came into contact with some incredible doctors that did not rely solely on drug therapy. They reaffirmed important info that I had learned 30+ years ago. Not long after Vietnam my family and I worked with health researcher Harvey Diamond putting on Health Seminars all over California. He wrote the best selling health books; “Fit For Life”. You have probably heard of them as millions of copies were sold. That early training opened my mind to alternative healthy eating and food combining. I gained the understanding that our bodies are powerful healing machines. Interesting note: One of the people working with us back then was a young Tony Robbins. He was a blast even back then. Due to PTSD and the Substance Abuse that came with it, I lost my way for many years. Just understanding what is good or bad for my health was not enough as my thinking became blurred due to the drugs, alcohol, and anger that war had force-fed into my brain. In those early days, the VA was happy to add to the drug overload. It was kind of like in the book “Through The Looking Glass”. “A little bit of this will lift you up. A little bit of that will bring you down!” Actually, that may be from a Mark Knopfler song but you get the idea! I finally hit a wall and understood that I was killing myself. I was very fortunate for my earlier training and knew that I had to use it to save myself and my marriage. I quit the illegal drugs, which helped me cut the alcohol way down. I started getting some exercise and dug into the research that led to my books and a desire to help other vets. Through the research, I became aware of the dangers of prescription drugs. They were causing large problems with not only my future health but also the futures of the many veterans I was dealing with. 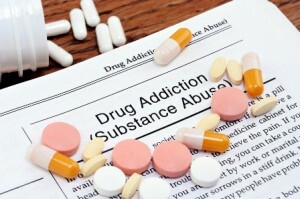 Due to my struggle with illegal drugs I had become extremely antidrug. It was a small leap to see the drug industry in the same light I put my local drug pusher into. Over the next number of years, I searched for healthy alternatives to the scripts I was being handed by the bucket load. I became my own guinea pig trying many products that came out. I actually received a huge training course from some years involved in MLM’s. No, I am not promoting one. It was just a great informational source. People freak out when the term MLM pops into a conversation but because of that marketplace hundreds, even thousands of alternative vitamins, minerals and superfoods are being developed. They are being found in the jungles, in the mountains, and actually, some awesome stuff is found in our waterways, and the ocean itself. It seems like I tried them all. Some were pure marketing vehicle BS. Over the years some of these products got incredibly good. Some of the most interesting are helping our bodies heal themselves through cellular communication and turning on our body’s own stem cells. As we age stem cells will just sit in our bodies by the millions not knowing what to do without that communication. The field is now at a stage where Cutting Edge Nutraceuticals have become available that are far better at doing the job than what the drug companies can deliver. The drug companies are locked into a drug mentality. Too many billions of dollars are involved for them to break away. What is great about the new research is that the best nutriceuticals have zero side effects. They are gaining ground by word of mouth. If they don’t do what they were designed to do they disappear in a hurry. As I said earlier in this report I have had the good fortune to meet some world-renowned researchers, Doctors and Naturopathic Doctors. Replace Drugs With What??? Let’s start with this one. Col (Ret) Dr. Michael Lewis is a 31-year military veteran. Dr. Lewis is a graduate of the US Military Academy at West Point and is a graduate of the Tulane University School of Medicine. He completed his postgraduate training at Walter Reed Army Medical Center, the Johns Hopkins University School of Public Health, and the Walter Reed Army Institute of Research and is board-certified in General Preventive Medicine and Public Health. While serving over 31 years in the Army, Dr. Lewis ran the primary care and flight medicine clinics at the Pentagon, developed the Emerging Infections Surveillance program at the joint US-Thai Army research lab in Bangkok, and served as the Director of the Epidemiology Division at the Uniformed Services University School of Medicine in Bethesda, Maryland. Dr Lewis has developed a Protocol for brain injuries using heavy doses of Omega 3 Fatty Acids. The brain is over 60% fat so you can call me a Fat Head any time you like. Sorry just a little TBI and PTSD humor by me. Don’t blame Dr. Lewis for this. His Omega-3 Protocol for Brain Health is doing amazing things in the recovery from a brain injury that is harming so many of our soldiers. This is also a huge issue in recreational and Pro sports such as boxing and football as well. To find out much more about Dr. Lewis’ work please visit his blog. Dr. Mike gave me his Personal special order # to buy this online through Nordic Essentials which is the best he has found. I’ll give you the dose info he recommends as well. Dr. Mike nor I am affiliated with this company we just want you to get the best price for the best quality available today. Dr. Chris Morris is a world-renowned Naturopath & I am happy to call him a friend. Dr Chris is Co-Founder and head of Product Development for Welmed Global. When you talk about the future of your overall health it is important to ask your doctor the right questions. If you start with “What drug do you recommend for this pain or that ache?” you are already in trouble. I have learned incredible information from Dr. Chris. That statement is the most important info I have ever received. If you want to live to a serious ripe old age (100+) you need to continually fill your body with the right energy promoting stuff. No not Red Bull!!! That jittery feeling you get from Power Drinks, 20 cups of Coffee or Diet Pills is not energy. It is Anti-Energy. Too much of that stuff and you might be greeting The Grim Reaper way too soon. Why does the thought of The Grim Reaper always make me laugh. I guess it was too many Monty Python movies as a kid. See him too soon is anything but funny!!! We no longer get the nutrition we need from our local grocery store. We now live too far away from the farms. Of course with all the GMO’s going on we could live right in the silo’s and still be deficient in the nutrients that our bodies beg for. Dr. Chris has a formulation called stemFit Active that is exceptional. There are now concentrated pure superfoods available that put back in everything we used to get from our food and much more.I will tell you that my wife no longer has colitis and a number of my veteran friends no longer need insulin for diabetes they have due to Agent Orange. The only thing they did was add stemFit Active to their daily health regimen. I can give you many more stories of what Dr Chris’ formulations have done for me and a bunch of other people I know and love. My 93-year-old dad is a WWII Vet that won’t go a day without it. This is full body rejuvenation from our cells, to our bones, to our skin. If you want your health back you need to understand about Growth Factors and cellular communication. Either that or ask me. I know where to get the good stuff. If you want to get off the drugs it doesn’t take a lot. It takes the right nutrition and a willingness to get off the couch once in a while. Which for my coming blog article on Dr al Qahtani. Many thousands of Doctors around the world that are skin specialists, Plastic Surgeons, etc, use his formulations that are groundbreaking, to say the least. Find out how he healed this young boys arm in just 21 days with his skin serum. His arm had fallen into deep fry vat of oil.